Mr. Navarrete’s practice at Neuberger & Partners LLP focuses primarily in the area of criminal law and quasi-criminal matters including professional disciplinary hearings. Mr. Navarrete has appeared before all levels of Court in the Province of Ontario including the Court of Appeal for Ontario. In addition, Mr. Navarrete appeared as co-counsel at the Supreme Court of Canada in the matter of R. v. Gomboc. 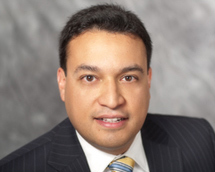 Mr. Navarrete graduated from the University of Windsor, Faculty of Law and he subsequently summered and articled with Cassels Brock and Blackwell LLP. During his articles, Mr. Navarrete completed an intensive litigation rotation with the late Edward L. Greenspan, Q.C. and returned to that firm as an associate from 2004 to 2008. Mr. Navarrete has also worked as an Assistant Crown Attorney with the Ministry of the Attorney General (Ontario). Mr. Navarrete has participated as an instructor at the Law Society of Upper Canada’s Cross Examination College CPD Program. Mr. Navarrete also participates as a moot judge for the Cassels Brock Cup held annually at the Court of Appeal in Toronto. Mr. Navarrete is one of the founding members of H.O.L.A. (Hispanic Ontario Lawyers’ Association), now known as the Canadian Hispanic Bar Association. He is also a member of C.I.A.O. (Canadian Italian Advocates Organization). Mr. Navarrete has co-written various articles in the areas of Criminal Law including on its impact into family law proceedings. He is also a contributor to the Toronto Lawyers Association’s online “Toronto Law Journal”.